148 Nissi Avenue, Ayia Napa 5340, Cyprus. 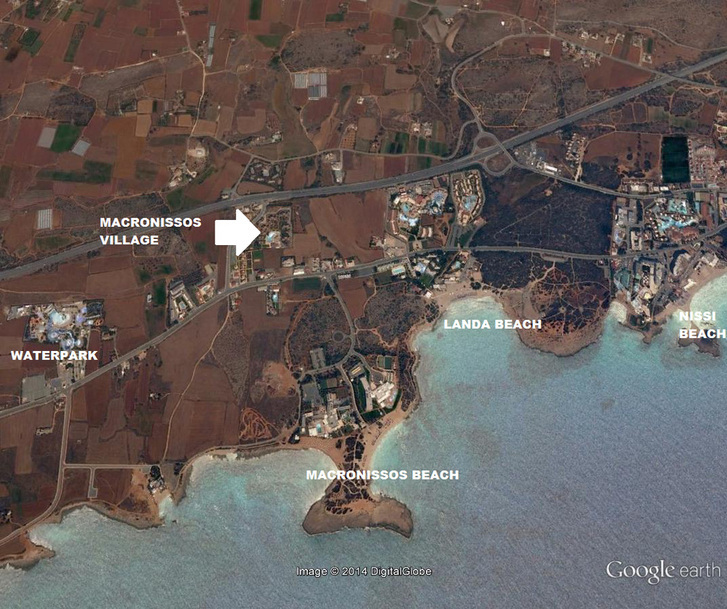 Macronissos Village is a large, spacious complex of apartments spread over several buildings set on 2 floors. There is a large attractive free form pool surrounded by a sun bathing area and pleasant gardens. The Holiday village also has tennis courts, childrens clubs and playground and numerous other amenities on site. The rooms are traditionally furnished, apartment style with self catering facilities and are ideal for families. The Macronissos Village is located at the Western edge of Ayia Napa in a peaceful area surrounded by pretty Cypriot countryside. The award winning waterworld waterpark in within easy reach and there are a choice of gorgeous sandy beaches nearby. 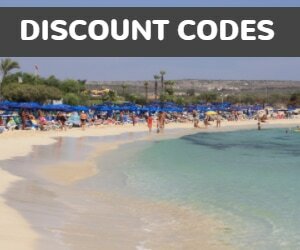 Macronissos Beach is the nearest beach, but Ayia Thekla and Landa beaches are also within walking distance. 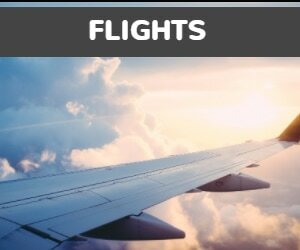 There are very few bars or restaurants in this area but the local bus passes by the holiday village on it's route from the Waterpark to the centre of Ayia Napa and taxi's are plentiful so getting into town is easy if you are looking for a bit more action. 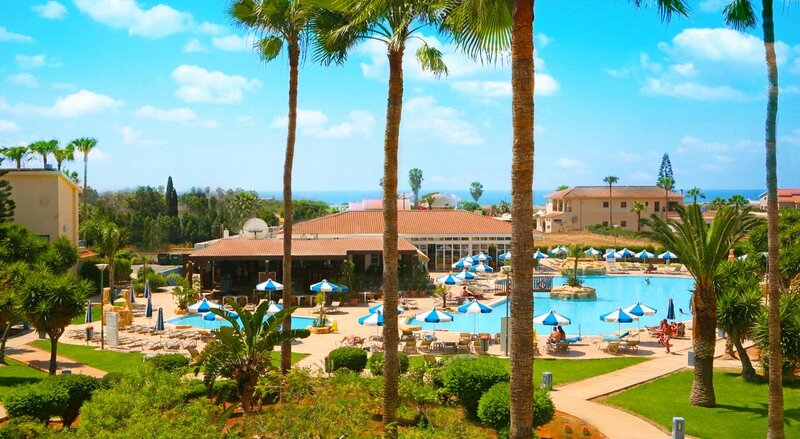 The Macronissos Village is ideal for relaxing family holidays and anyone looking for a peaceful resort with plenty to do on-site.